I am proud to present to you the latest initiative of Bulgaria - a philatelic edition dedicated to the initiative “2017 - International Year of Sustainable Tourism for Development”. The principles of the initiative inspired us to create the stamp and I think that this is a good way to preserve the values of the campaign, even after the end of this year. This was said by Minister of Tourism Nikolina Angelkova in the presentation of the Bulgarian postage stamp during the 22nd General Assembly of the World Tourism Organization (UNWTO) in China. 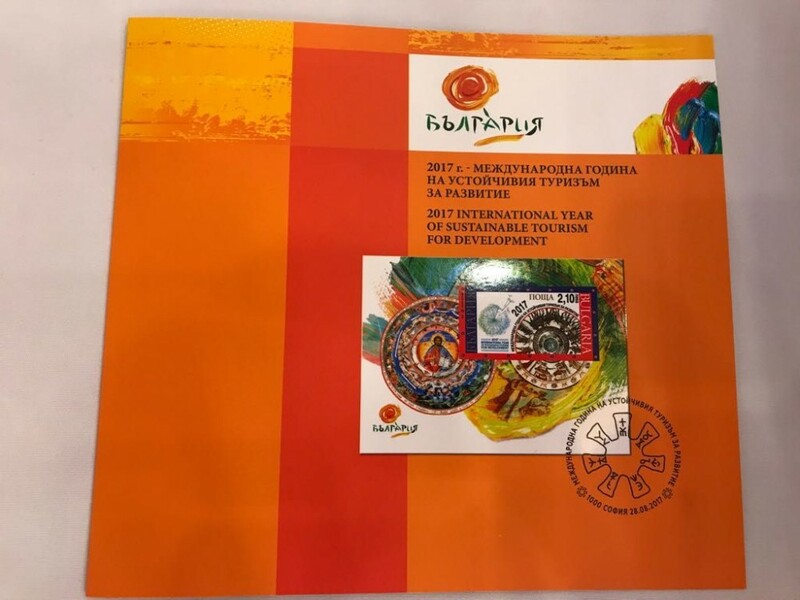 All participants in the event received as a gift brochure, including a postal envelope and a stamp block with a special message from Minister Angelkova. I would like to express our gratitude to Mr, Taleb Rifay. Secretary General of UNWTO for his support for our initiative, said the Minister. 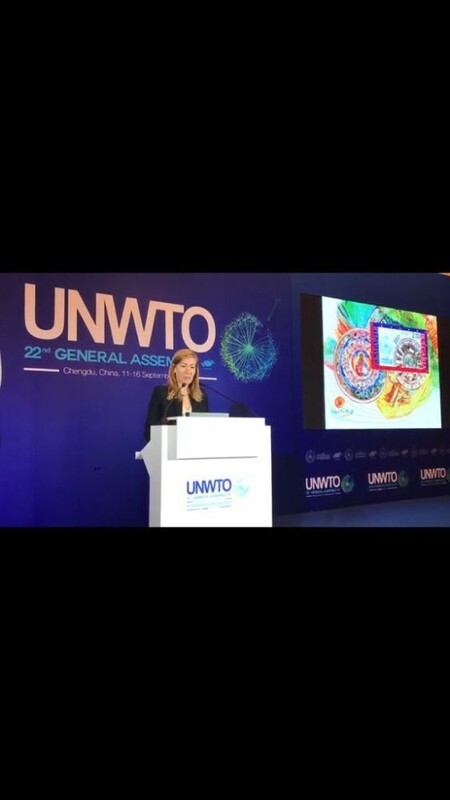 In her words, the common efforts of the ministry and UNWTO made this presentation of the stamp possible. 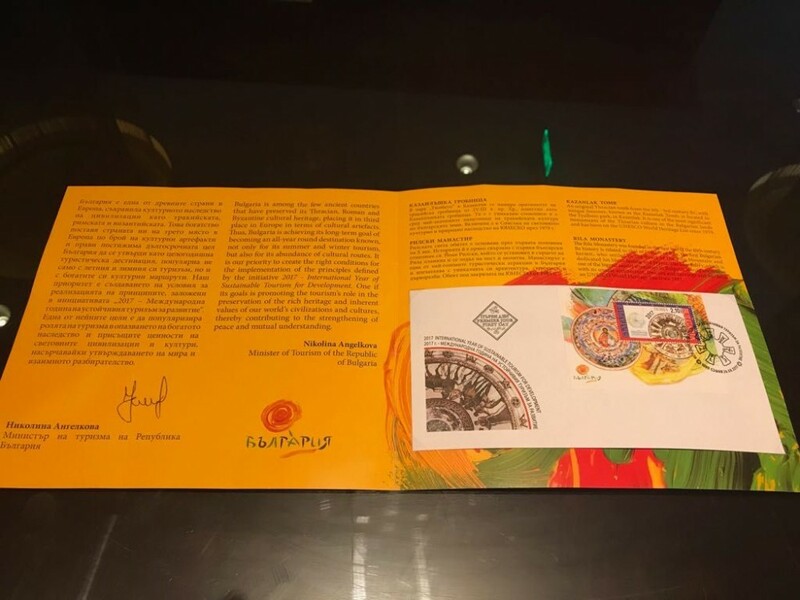 The philatelic edition displays two of the most emblematic cultural artifacts dating back from different historical epochs - the Rila Monastery and the Thracian Tomb of Kazanlak. In addition they are also part of the list of immovable cultural heritage of UNESCO. The elements are connected with circles, which are not only symbols of infinity, but are found in the images of both sites. They can also be the analogue of the endless wheel of life and the depth of the Bulgarian history. As you probably know, Bulgaria is among the few ancient countries that have preserved their Thracian, Roman and Byzantine cultural heritage, thus ranking third in Europe in terms of cultural artifacts, said Minister Angelkova. And she specified that this is a major factor for the country to achieve their long-term objective to become an all-year-round destination, known not only for summer and winter tourism, but also for the abundance of cultural-historical routes. Our priority is to create the proper conditions for the implementation of the principles laid down by the initiative “2017 - International Year of Sustainable Tourism for Development”, the minister further said. 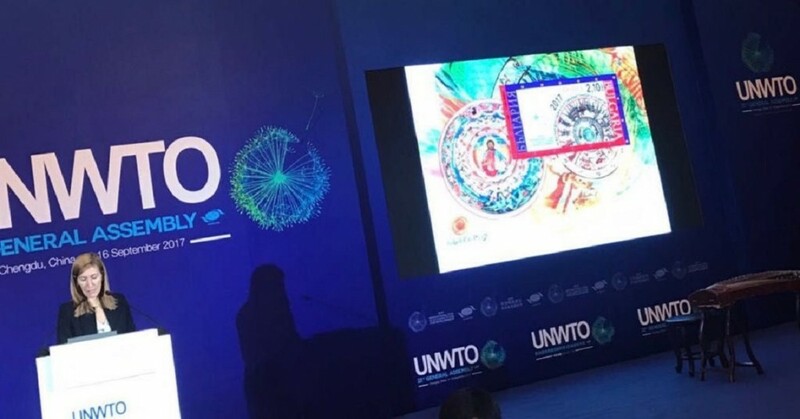 In her words among her objectives are the promotion of the role of tourism in the preservation of the rich cultural heritage and the inherent values of our civilizations and cultures in the world. The minister encouraged the participants to visit these places in Bulgaria, stressing that this is the best way to feel the spirit of the country.